Training is held at the Wanneroo Showgrounds (commencing September) on Tuesday and Thursday nights from 4:45 pm. We run a licensed bar on Thursday evenings after training and food will be available for purchase. 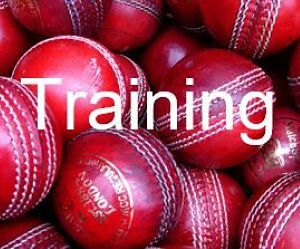 Selections will also be held at the WCC clubrooms on Thursday evenings after training. We run a licensed bar on Saturday afternoon and evening with food available for purchase. Presentations will also be completed at the WCC clubrooms on Saturday evenings at the conclusion of each match. We encourage our members to bring their friends and family down - all are welcome. We run ladies Happy Hour from 5pm on Saturday evenings* (*Please note - Ladies Happy Hour is not available on Saturday event or function nights). Email wccroos@gmail.com if you have any queries or questions.